Bored of taking photographs at common angles and stills. Want to try unique? Then this camera is for you. 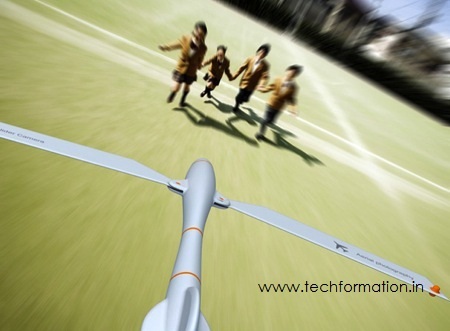 This is a conceptual glider camera which is capable of capturing photos from the sky. 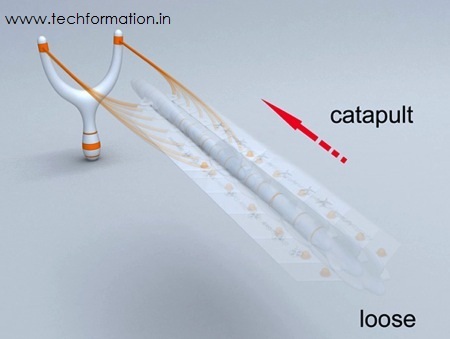 It looks like an actual glider which can fly when pulled via catapult. 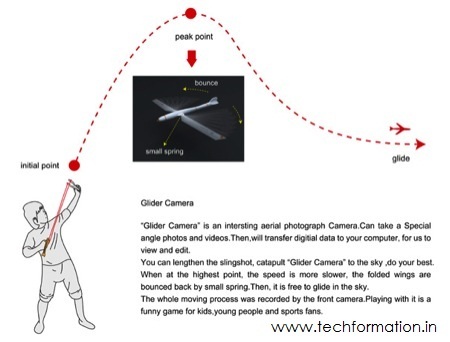 It will be provided with a catapult to 'throw' the camera like a glider. 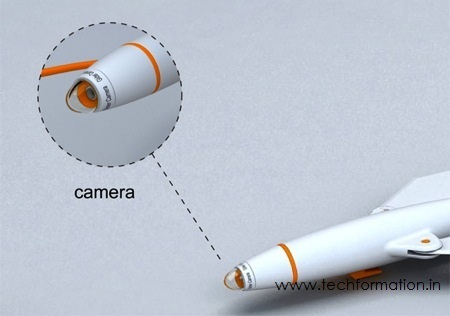 The glider camera has the camera lens at the front of the tip. 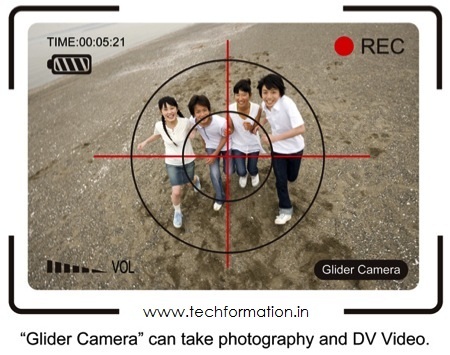 Then it will capture from the air in continuous shots at different angles.This glider camera is not only limited to just capturing photos, but it can shoot HD videos from higher altitudes which is an exciting experience. 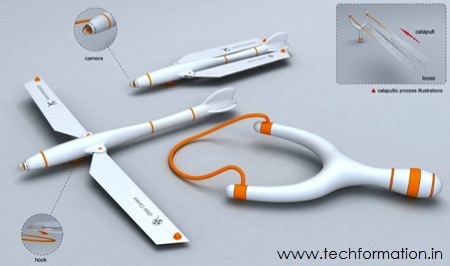 Must try gadget! Where can i buy this gadget?send me an email, thank you!